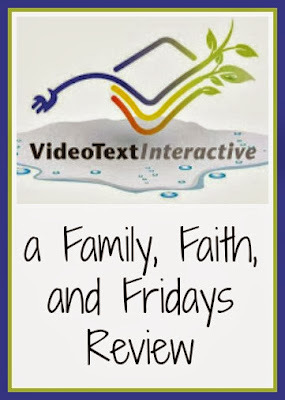 VideoText Interactive is a Mastery Approach company that combines video instruction and student work text to teach older kids Geometry and Algebra. Using color coding, creative graphics and animation, as well as a "live" teacher, VideoText is paving the way to a new kind of learning. Let's talk about some of the components. These are short lessons that only run about 5-10 minutes a piece. However, VideoText encourages you to pause frequently to answer any questions being asked. We found this to be a hard concept for us to master at first, but after a while, it will become second nature. They also instruct you NOT to take notes while watching. I know, different, isn't it? The reason behind it is to help your child not be distracted, instead intent only on what is being taught to them at the time. These notes are basically what you just heard on video. After watching the video these are there for you to be able to review anything new that your child may not quite have a grasp on or review anything that your child may feel uneasy about. Consider this your test bank of review questions. VideoText encourages you to assign only a part of the problems, maybe odds or evens for your child to work through. The point is to review and practice what you have learned. No need to beat a dead horse if they understand; an idea that my daughter LOVED! If they need more practice you can return and do the additional problems. These are after each lesson and are to be done before moving on. There are two versions if your child needs to retest. These quizzes are your gauge in determining if your child has "mastered" the lesson and is ready to move on to the next one. There is also a review for each unit before a unit test is given. Mu daughter, 10th grade, and I would watch the video together and discuss what we had learned. I would then assign half of the practice problems for her to work through. After she worked through them I allowed her to check her own answers. If she got any wrong we would then look at the solutions together and find and correct her mistakes. Then we were done for the day. The next day, she would begin her class by taking the quiz on the lesson watched the previous day to ensure she had complete understanding. As long as she scored at least 90% she would then move on to the next video. We continued in this fashion 4 days a week, taking Fridays off. Daughter here! I liked this program a lot. (and surprise, surprise, I actually like algebra.) It was simple and didn't take that much time, but I felt like the subjects were covered thoroughly. The teacher explains things in ways I'd never heard before and they made total sense. I liked it as well. We were surprised at the approach of how some the lessons were taught- like comparing the parts of an equation to the parts of speech, and therefore we learned to look at equations in a new way. For my daughter, the videos seemed a little slow at first as she has already completed Algebra 1 previously, but in some ways that helped her to better understand some of the concepts she had previously struggled with. I am eager for our 6th grade son to start this program from the beginning with no previous Algebra knowledge. I tried to have him start this year, but it was just slightly past his level. My plan is to have him take the complete course his 8th grade year, thus putting him a year ahead on the math schedule. The two things that really stand out for me with this program- 1- that you can complete Algebra 1 and 2 in one year without a year of something else in between and 2- that the videos are short and precise. You can move through each day without a long drawn out progress which is imperative in my household! Plus, because my son is an auditory learner, this format is perfect for him, while still requiring some "seat" work as well. In addition, if you ever get stuck on a lesson, the customer support team is willing and eager to help clear things up! Overwhelmed with how it all works? No problem! There is a quick reference guide that comes with the program to help you get started. Also on their website you will find progress checklists downloads, additional practice problems and even graph paper! If you are looking for a complete Algebra course, I can highly recommend VideoText Algebra: A Complete Course! You can order the online version of Algebra: The Complete Course for $299.00. 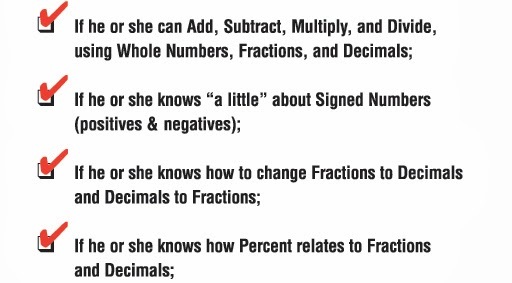 Keep in mind, this covers TWO years of math for your student! That price is good for TWO students and your account is activated for three years from your start date. We had this review as well, and are going to continue it as our complete math course this year. Great review and very informative! Fun Friday Giveaway and Review!